PADANIYA - Investment -Go4places - ideas - Food - Opportunities: Now, book your Rail ticket 120 days in advance. Now, book your Rail ticket 120 days in advance. New Delhi: Indian Railways’ new advance ticket booking rules came into force on Saturday. Under the new rule, you can book your rail ticket 120 days in advance. To cope with the demand for tickets, the Railways has decided to increase the advance reservation period from 90 days to 120 days. 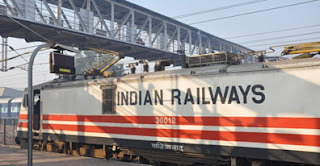 "Now one can book his train ticket 120 days before the journey as we have decided to provide an opportunity to the passenger to plan his journey four months in advance," said an official in the Commercial Department of Railway Ministry.